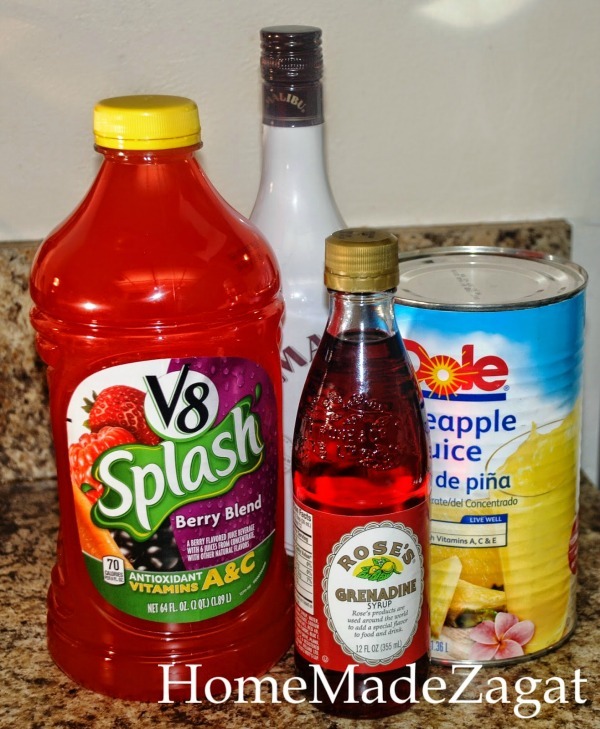 I had a friend coming over that I have not seen for a long time and I decided that I needed to make us a little drink for this South Florida heat. What's the best drink for friends to sip on while catching up? Some Caribbean rum punch. 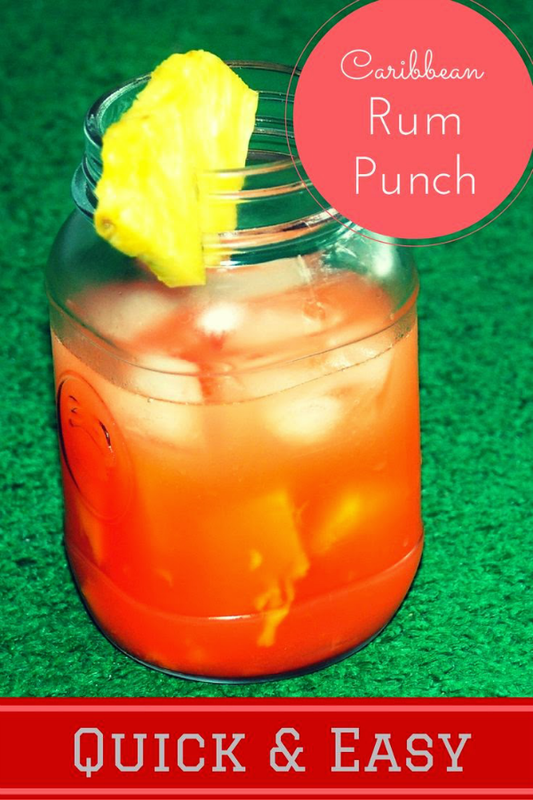 Rum punch is a "go-to" drink for Islanders. It's quick, easy and it includes rum. What else do you need? 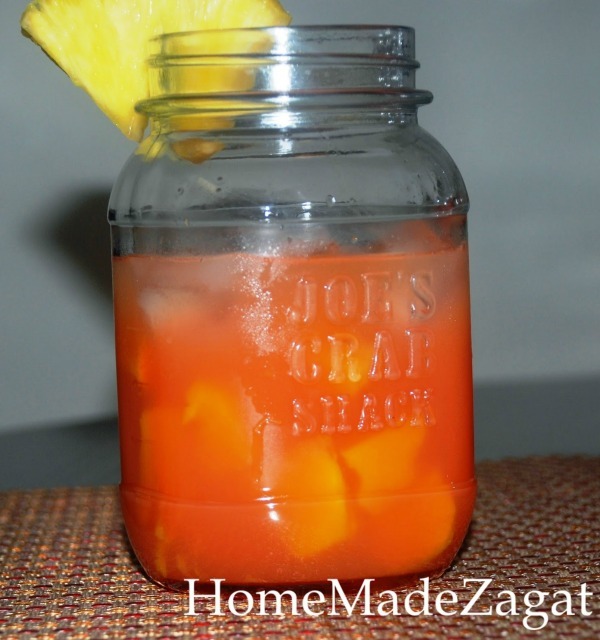 This rum punch includes rum (obviously), juices (pineapple juice, orange juice, and/or fruit punch) and grenadine syrup. You can get pre-made grenadine syrup at most liquor stores or you can also make your own grenadine syrup at home and have it on hand. It's healthier too. I didn't have the time to make my own grenadine so I got a bottle of Rose's. As I said this process is very easy. The hardest part is opening the juices. I always prefer to use tin juices, which is not always very easy to find for some reason. I was able to find pineapple juice in the tin and fortunately for me, I love to have kitchen gadgets so I had a great can opener. I always have issues with cans and opening. I have had to have a few fights that included me pulling out a large butcher knife to try to finish opening a can. I am not that strong in my grip so I really need to have a device that works great with a weak grip. This is a stainless steel can opener that cut through the pineapple can like a breeze. It has an ergonomic handle so it was extremely easy to use and worked very quickly. There was no hassle. This opener opened the can with no sharp edges so I had no worries of getting cut by jagged edges. Work smart and not hard! Now to make the deliciousness. As I said Caribbean rum punch is easy as 1, 2 3. After mixing it all together, pour over ice. You can garnish with fruit slices/chunks. I used mango here, but strawberries or maraschino cherries are also great options. You can even freeze the strawberries before time and use them as "ice". 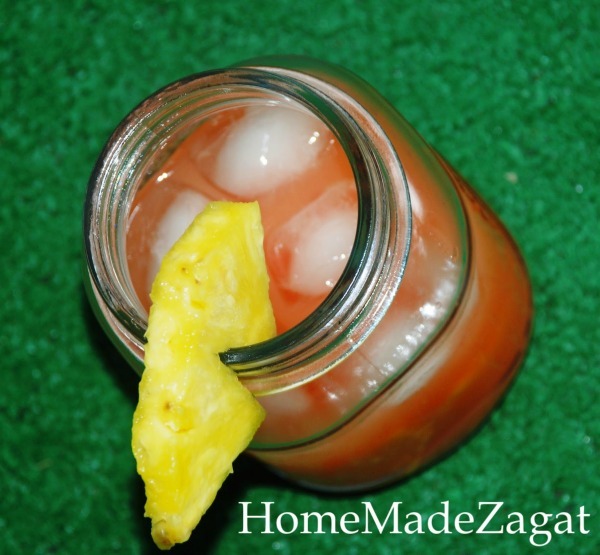 Garnish with a pineapple and you're good to go!